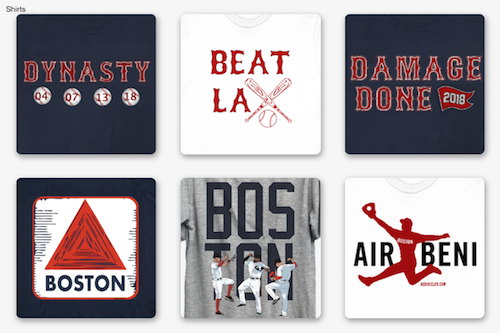 It is too late for the Red Sox to save the 2015 season, which was basically pronounced dead in early June. They need to start thinking about the future, and that future is Xander Bogaerts. Bogaerts won’t turn 23 until Oct. 1, and he cannot become a free agent until 2020. Still, the Red Sox should start thinking about locking up the shortstop for the long term — the really long term — and they should do it now. To do this, they’ll have to deal with the devil himself, Super Agent Scott Boras. 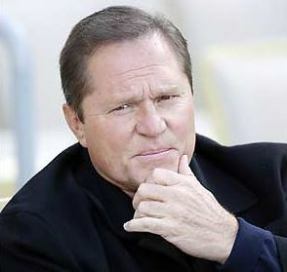 Boras, who is the worst thing for baseball since the birth of Joe Buck, doesn’t like to talk about contracts until his clients are free agents. 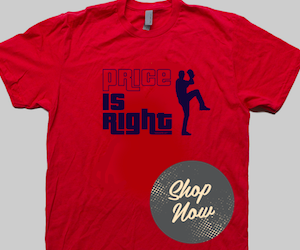 That way he can get the Yankees involved and really drive up the price. As the Red Sox know, Boras is really good at this because he’s done it to them many times. He did it with Johnny Damon, and he did it with Jacoby Ellsbury. Actually, it probably isn’t fair to pin the loss of Ellsbury entirely on Boras because the Red Sox never really tried to keep the center fielder, who was a catalyst to two Boston World Series titles, after the 2013 season. That colossal mistake can probably be attributed to the Red Sox overvaluing their prospects, as Dan Shaughnessy pointed out. Had Boras been open to a long-term deal when Ellsbury was still arbitration eligible, he’d still be roaming center field in Boston. The Super Agent, though, wouldn’t play ball back then. We have to assume that Boras isn’t completely unreasonable. Or at least we have to hope he isn’t. If the Red Sox are willing to blow him away with an offer for a long-term deal for Bogaerts, you’d have to think he’d at least listen. Bogaerts would certainly listen, too. The best player on the Red Sox, after all, is making $543,000 in 2015. That will go up substantially when he is arbitration eligible for the first time in 2017, but you’d have to think Bogaerts would like to be a multi-millionaire before that. Get Boras to the table now and offer a huge contract. It probably won’t take the kind of money the Marlins gave Giancarlo Stanton (13 years, $325 million), but it will take a lot. The 13 years would be a great place to start. That would mean the Yankees can’t flirt with the budding star until he is 36. If the Red Sox wait until 2020, it might cost them more than what Stanton costs the Marlins. If he isn’t in pinstripes, that is. Sure, that seems like a lot of money. Remember, though, this is a team that is paying $95 million for a super-sized version of Pablo Sandoval, $88 million to the ghost of Hanley Ramirez and $82.5 million to a guy who looks like Rick Porcello. The Red Sox don’t like handing out long-term contracts, and often time contracts more than four or five years are a bad idea. But Bogaerts, remember, is still 22. Bogaerts, who already helped deliver one World Series title, is worth a long-term investment now so we don’t lose him when he’s in the middle of his prime. And we will lose him if he hits the free agent market in 2020. The Red Sox lose almost all of their free agents worth keeping. This is one player they can’t risk letting walk out the door. Not only is Bogaerts one of the only reasons we can stomach watching the Red Sox play this season, he has the makings of being one of those legacy players who end up with their number retired. He could be this generation’s Yaz. While playing for a team that has been just godawful, Bogaerts is hitting .315 with an OPS of .753. He hit .371 in July. Bogaerts has five 4-hit games and seven 3-hit games this season. The shortstop has been money in the clutch, too. He’s hitting .333 with two outs and .391 with runners in scoring position. You’d have to think that his power numbers will go up with his age. Defensively, Bogaerts has been terrific. He shook off last year’s rookie woes and has been smooth in the field, committing just seven errors in 455 chances. He makes hard plays look routine. He is just so much fun to watch. The Red Sox like to use the term “untouchable” when talking about their prospects, who more often than not have not delivered. Bogaerts is the one player who truly fits that description. The team should make sure the Yankees can’t even think about touching Bogaerts until he’s in his late 30s. The Red Sox need to make that deal with the devil so the shortstop won’t be tempted to do the same in five years.